Parting is such sweet sorrow....that is how I feel about the 2012 Tim Tags ending. He posted the December and January tags together, but I am doing them in separate posts. 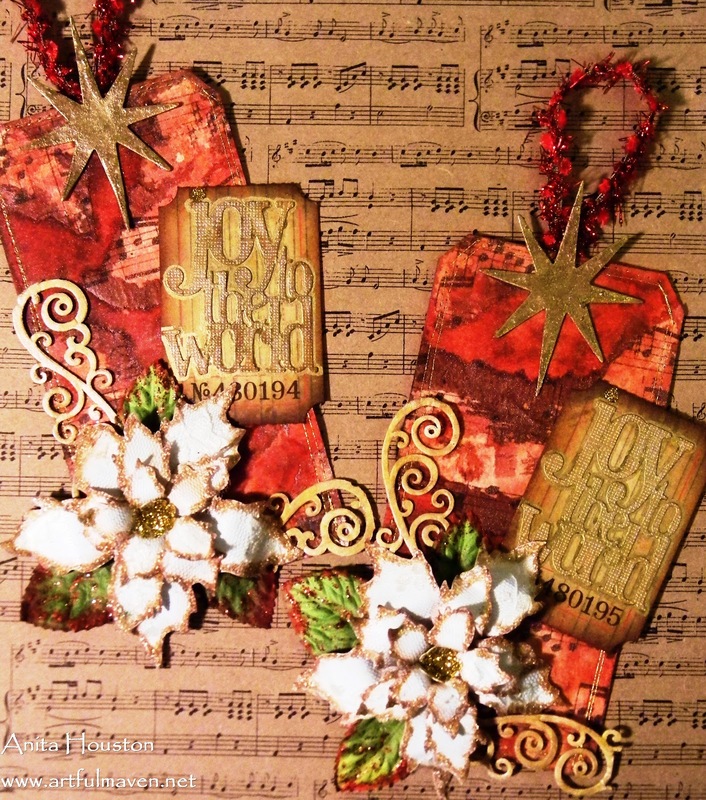 Here is my December tag. Is it possible to be in love with a background??? I am in love with this tags background...I want it as my wall. Okay, I am planning my wall all out already...just you wait! 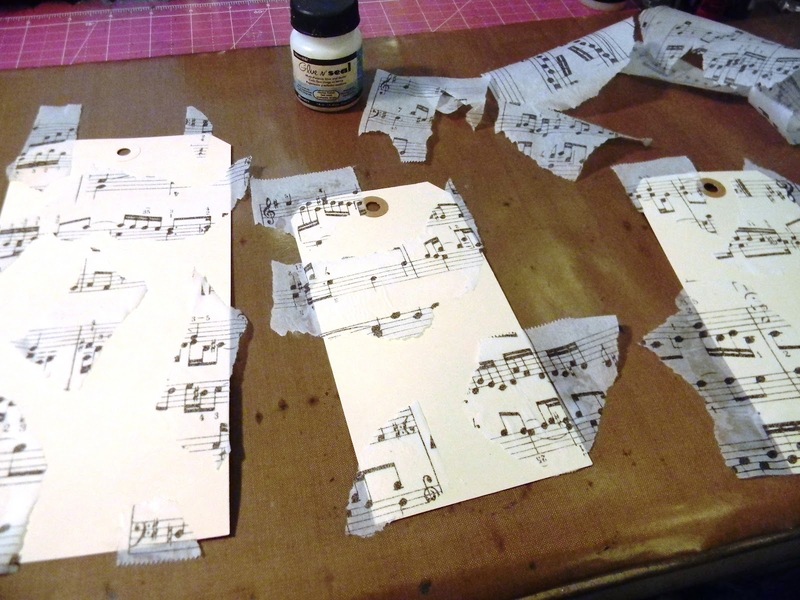 Anyway, I glued torn pieces of Composer Tissue Wrap onto my tags with Glue N Seal. 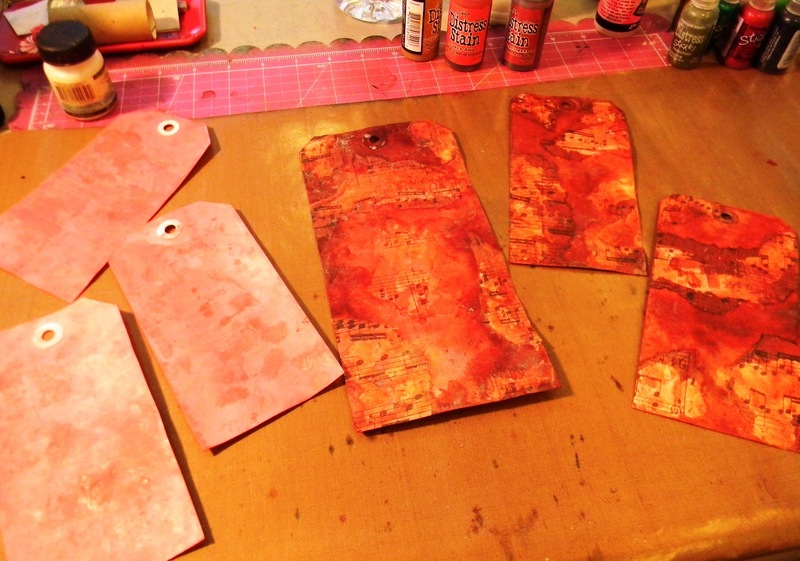 I used my three favorite colors of Distress Stain (Aged Mahogany, Barn Door, and Tarnished Brass) to do Tim's technique for Marbled and Blended Stains. I had enough wet goodness on my craft sheet to stain three extra pink tags. FUN! 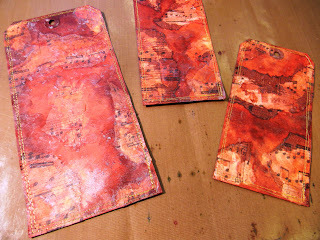 I used the most wonderful metallic thread from Tinsel Trading to sew around the tag borders. Let's sing together now...I'm in love I'm in love I'm in love I'm in love I'm INNN love...sorry, back to my BTO days! Don't get sentimental on me now, but this is left over lace from my wedding dress make oh so long ago. I still have a couple of yards left. I adhered it to Wendy's Clearly for Art Whiteout. Oh so pretty. Using the Sizzix Tattered Poinsettia Die, I cut three out. 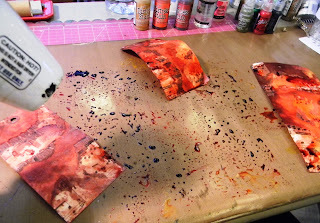 A little heat, Distress Stain, and Distress Ink and viola! Love Tim's die! Golden Rod and Antique Linen Distress Stickles finished the edges and center. 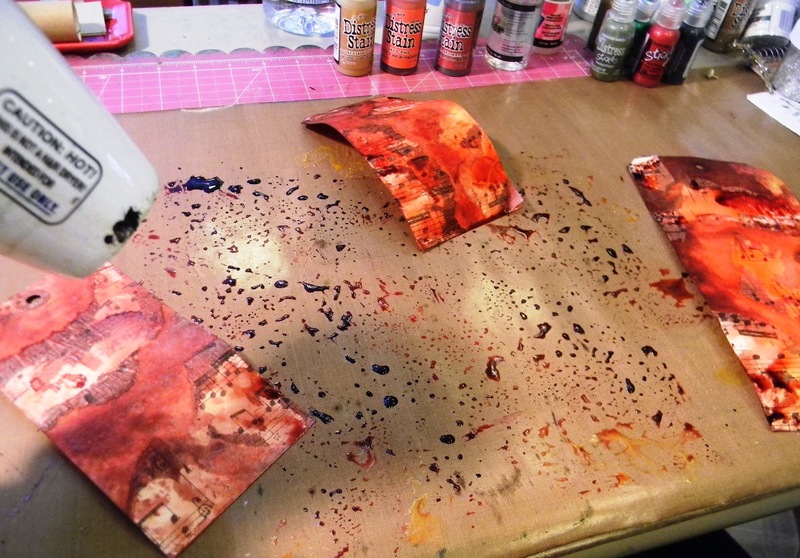 More die cutting, Staining, and inking. I love the words on this die. I Stained the flourish with Tarnished Brass and applied Antique Linen Distress Stickles to it as well. I traced around the sentiment with Krylon Gold Paint Pen and adhered it to an inked Journal Ticket. I used Alcohol Ink to color a sentiment paperclip to adorn the ticket. 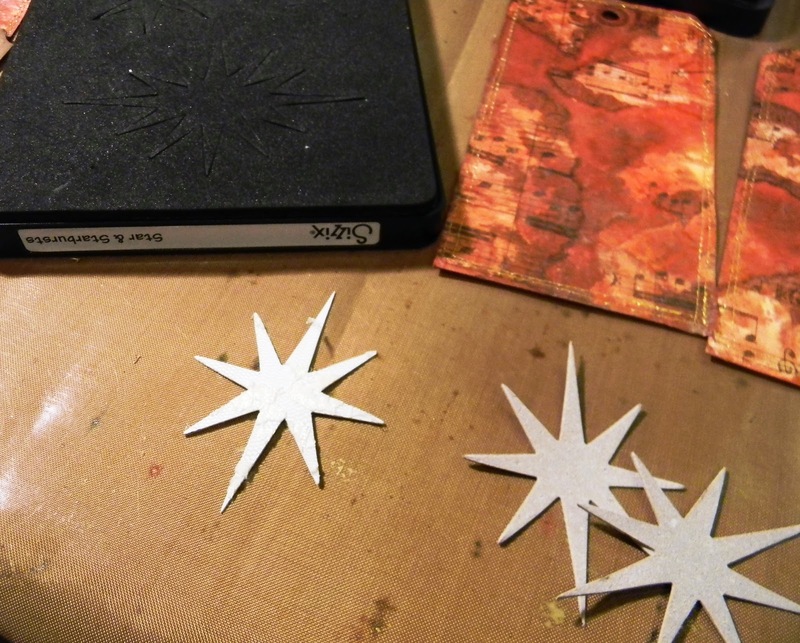 Grunge Paper makes the greatest Star bursts. 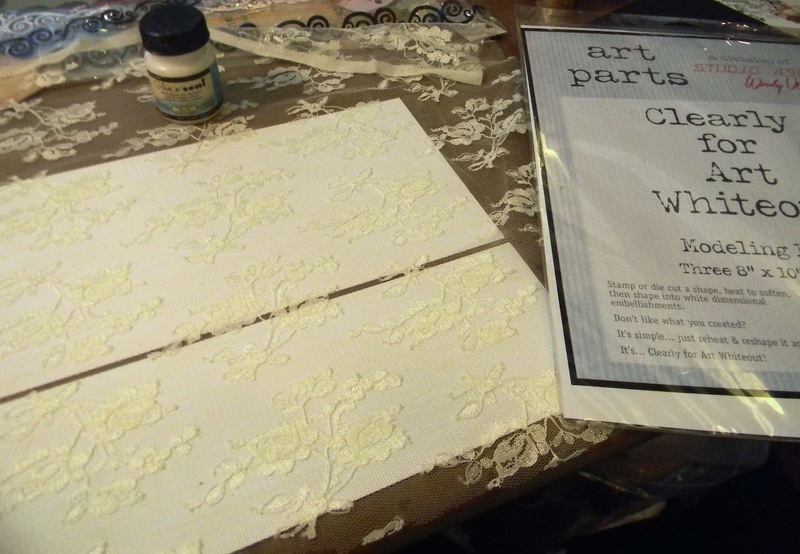 I covered these with more lace, then Antique Linen Stain, and then Rock Candy Crackle Paint, followed by Krylon Gold Ink Pen, and finally Stickles. Phew! What a star! Everything was adhered and a more Tinsel Trading goodness finished the tag. I am also submitting this to Simon Says Stamp & Show's challenge of "Inspired By Tim's 12 Tags", and Unruly Paper Arts Reader Art Quest 1 for "Use 4 Patterns", and to my old haunt Our Creative Corner for "One Stitch At A Time"...love those ladies! This is beautiful Anita. I do love the background and your poinsettia is gorgeous. Totally stunning tag!! Those colours are really glorious and I can see why you are "in love" with the backgrounds!! wonderful tag -- absolut gorgeous! OMG, you had me at the backgrounds! These are sooooo gorgeous. Elegant and rich and festive and and and.... LOVE em! Gorgeous factor of 10! 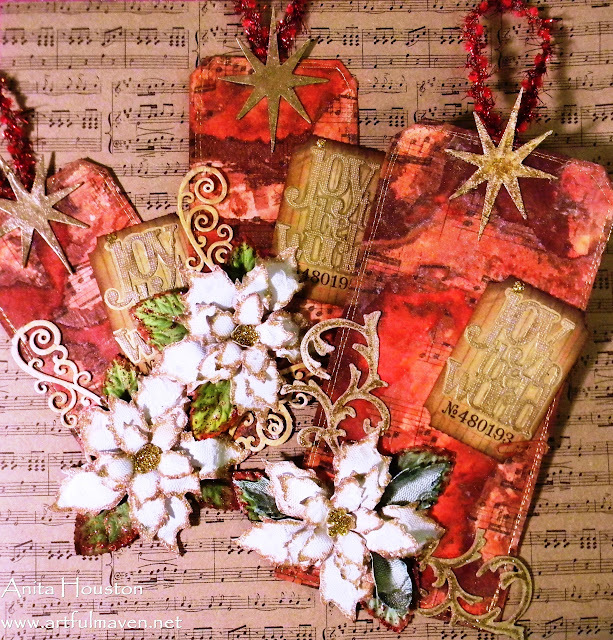 All the elements are so defined and crisp and filled with Christmas bliss. Especially LOOOOVE the texture of those leaves. :) Thank you for the beautiful pictures. Absolutely stunning as always! Thanks for questing with us at UPA! What a fantastic Tags. I love them. The colours of background are really beautiful and stunning. And so gorgerous poinsettia I love it. The Tags are so beautiful that I can't tear my eyes away from them. Wowowow - I'm in love with your background too!! Absolutely and utterly stunning - what a way to finish the year... you are on the most amazing artistic and creative roll... bravo!! Beautiful Art . . .and tutorials ,too!!! 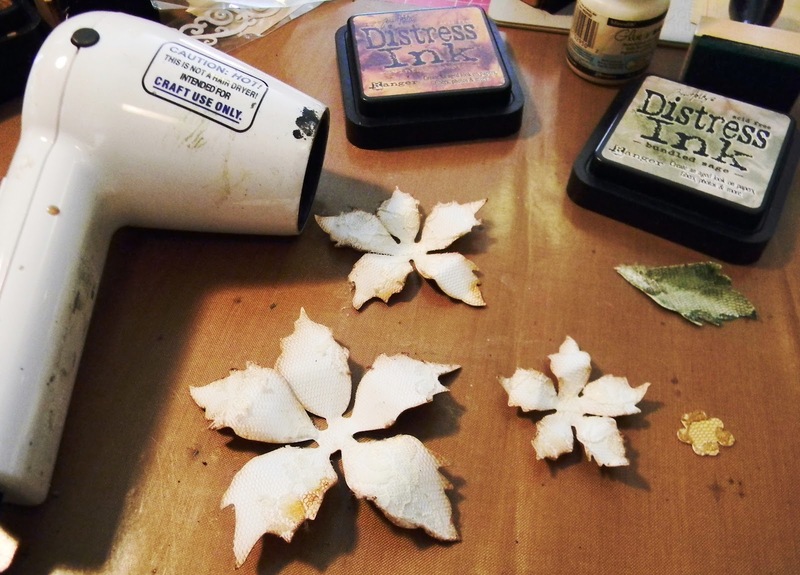 What's not to love about your blog? I am so excitedly delighted that I did. I am having my first Give-Away. Outstanding, Anita--such rich colors, very elegant!. Hi Anita, I am over-joyed to have you as a follower. I've put your name in my Give-away. Simply gorgeous! Love the colors!! 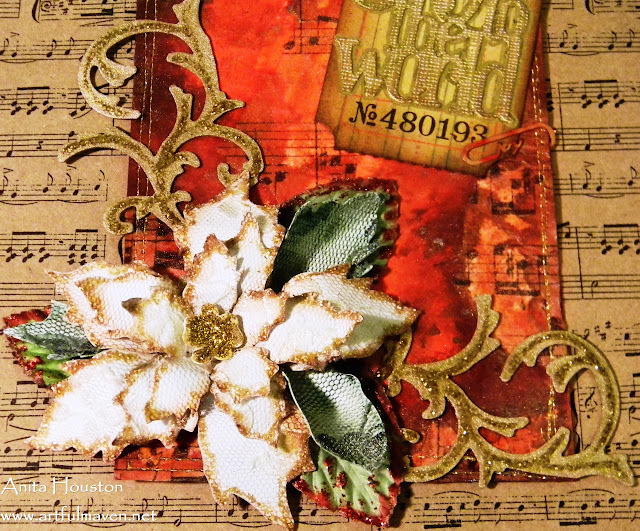 I'm singing with you I'm in love, I'm in love, I'm in love...Seriously that lace poinsettia is the most beautiful thing I have ever seen - the lace, the gold edging - yum! I love all those new TH Christmas dies - it breaks my heart that I couldn't get them in my store. I hope that someday I will be able to get my hands on them! That start is truly fabulous also! Thanks so much for sharing this beauty with us over at Our Creative Corner this week! Great tag, a lot of work but it's very beautiful! Glorious! I love the background the most....it's so.....Tuscan! That's it. Just a fabulous tag in every way. Congrats on winning the SSS House rules contest! That makes me happy! Love that background too. I haven't started my tags yet but I may have to take some inspiration from here too. Gotta love the 'extra' tags used for the mop up too. 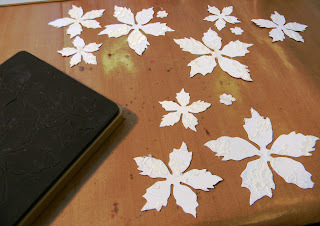 Now I'm wondering if I got some suitable lace around here to make some pretty diecuts, lol. This tag is AWESOME!!!! I love everything about all the gorgeous detail!!! Absolutely drop dead gorgeous!!! Now I have a way to use up some snippets of lace I have had for ages. Your work always leaves me in awe. This tag is absolutely gorgeous! I am in love with that background, too. The poinsettia with the lace is the most beautiful poinsettia I have ever seen. Oh, I am in love with your tag! Wow, you see me speechless, your tags are breathtaking. After you finish your wall, you can come and do mine :) Love this background. It is absolutely stunning. Your poinsettias are amazing and the starbursts are worth every layer. Just an awesome tag! Loving every step of the way in this one -- and there were a lot of steps. Each one was beautiful in and of itself. Gorgeous! 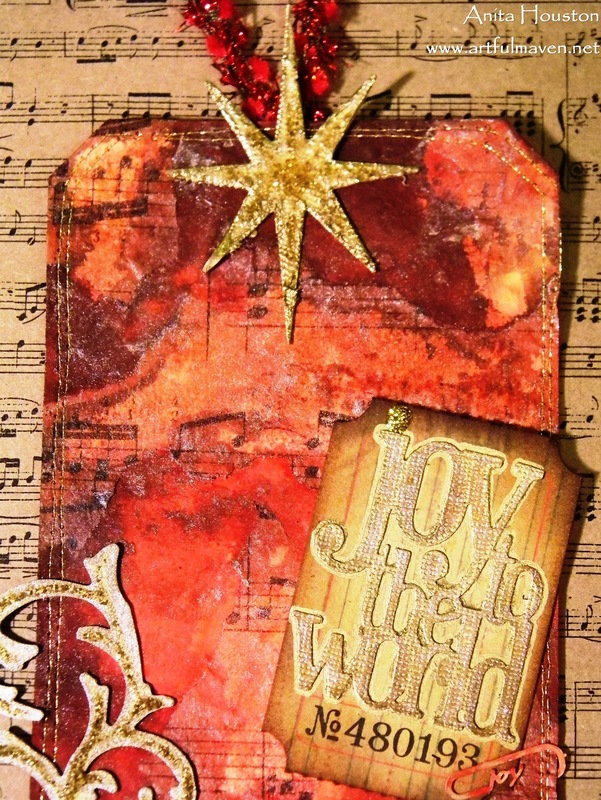 Absolutely gorgeous, love how you created the patterned papers. 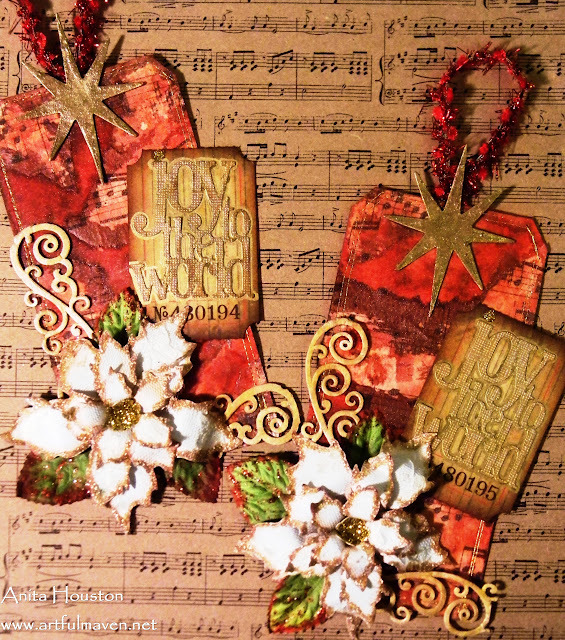 Love your December tags Anita. The red/gold combo is gorgeous. 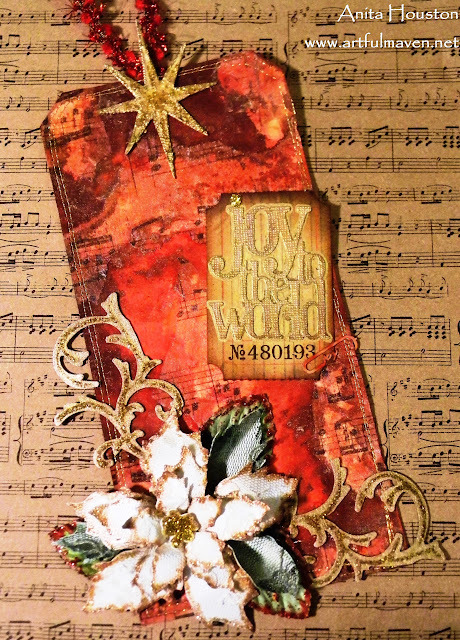 I am loving the background with the music and the beautiful poinsettia. I just picked that die up and hope to do my Dec one soon. Thanks for inspiring me. 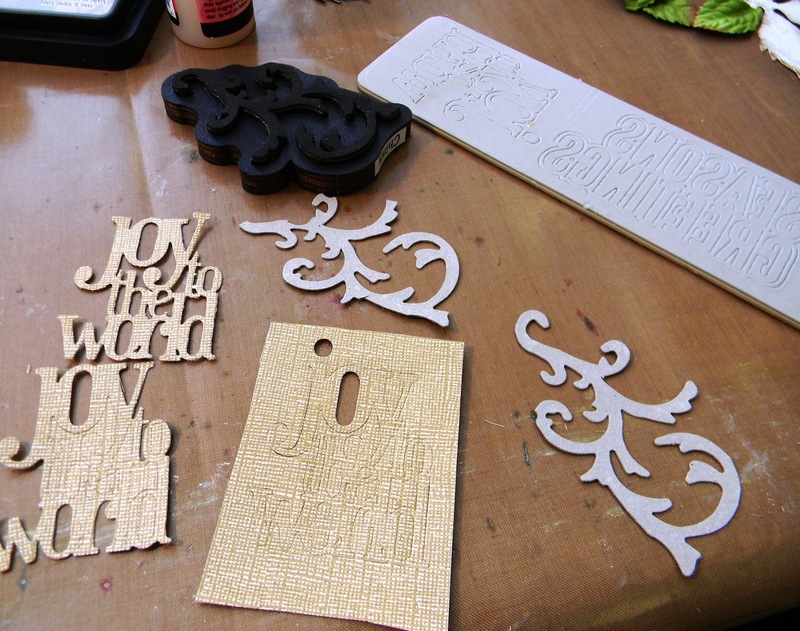 Love how you've used all the die cuts and such depth in your colors! Wow Anita! You have done a wonderful job with that tag. It shows texture, colors, style. I really love it. 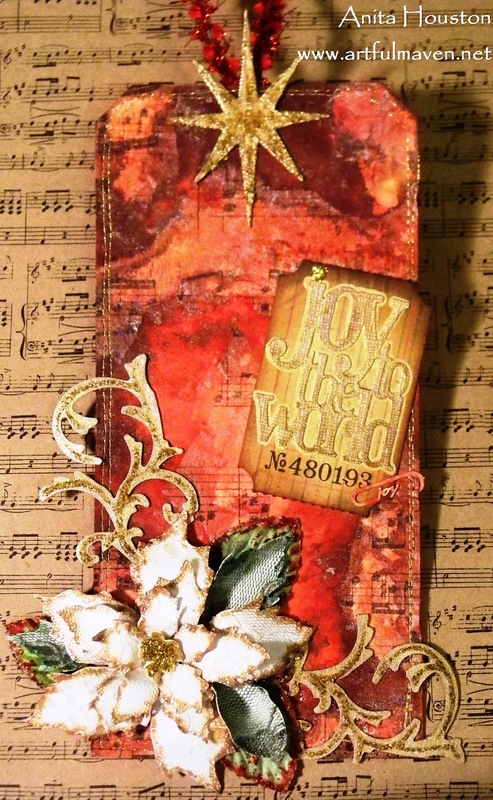 The background is exquisite and the poinsettia is the perfect touch. Thanks for playing with us at OCC this week! These tags I really like the flowers! They made ​​great! I can not do that. My dream is to gather up the money and buy the knives to cut these flowers. Your examples will help me learn how to create such beauty. Thank you, Anita! Wow! Your tags are gorgeous, Anita! Right down to the beautiful background! I really will have to scrutinize every detail! Merry Christmas! OH MY GOODNESS!! Those Tags are to die for gorgeous!! I love them! !